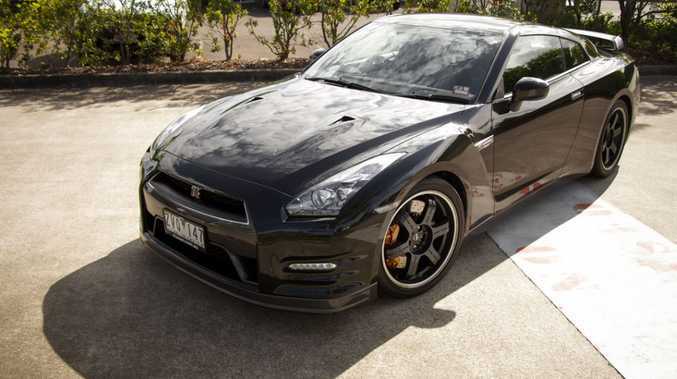 THIS week's article is on a beautiful 2014 Nissan GTR Black Edition with a lovely jet black exterior. This machine is powered by a front-mounted, 3.8 litre twin- turbocharged six-cylinder engine which can produce up to 404 kilowatts (542 horsepower) @ 6,400 RPM and 628 Newton metres of torque (463 pound-feet of torque) @ 3200 RPM. Connected to this small but mighty engine is a six-speed dual-clutch automated manual transmission, which shifts almost instantly, or in less than 100 milliseconds to be exact. That's faster than you can blink! The reason why the double-clutch system is so fast is because the transmission automatically preselects the next highest and next lowest gear. This particular GTR also has a kerb weight of 1732kg, which is quite heavy for a super car, considering the Lamborghini Aventador weighs in at 1575kg, and the McLaren 12C at 1434kg. Despite its weight, the 2014 Nissan GTR Black Edition when using Launch Control, will produce a 0-100kmh acceleration time of just 2.7 seconds ... yes, that's right, just 2.7 seconds! Even though it is heavier than both the 12C and the Aventador and also considerably down on power, it will annihilate them both off the line! The 3.8 litre twin-turbocharged V6 monster's that are featured all Nissan GTR's are completely made by hand, much like all AMG models. Although, Nissan has gone one step further and mated each transmission to each specific engine in the GTR, so for example the transmission in this particular Black Edition would not work in any other Black Edition, or in fact any other R35 GTR ever produced. Some other features that this particular Nissan GTR Black Edition is equipped with include 20" Rays 6-spoke super-lightweight forged-alloy wheels, a custom-made dry carbon rear spoiler, variable intermittent wipers, double-wishbone front suspension and multi-link rear suspension, 4-wheel ABS as well as traction and stability control, electronic brake force distribution, emergency braking assist, xenon headlights and daytime running LED's, front seatbelt pretensioners, a leather interior with exclusively designed Black Edition Recaro seats with red accents, dual-zone climate controls and much more! The 2014 Nissan GTR Black Edition currently has a manufacturers recommended price of $182,500 on roads, but this price could vary by state.